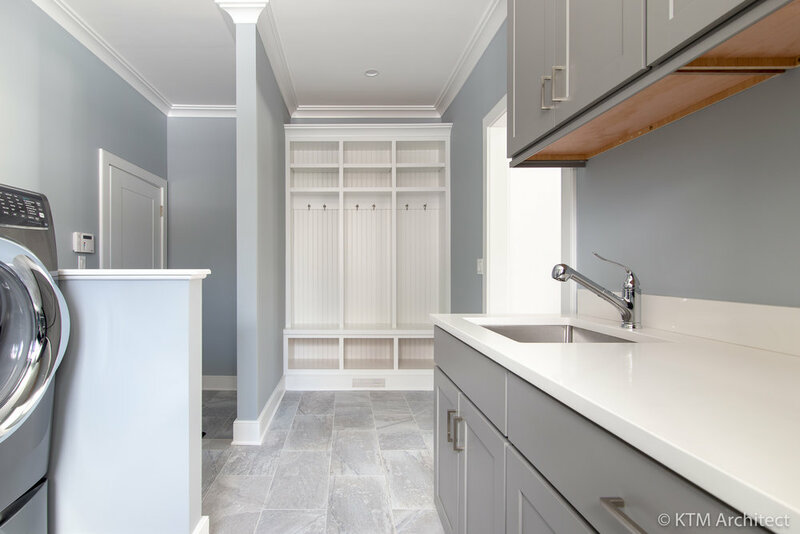 We recently worked with Tri-County Building Services of Larchmont NY to design a mutifunctional mudroom for a newly built home. Situated between the garage and kitchen, the space provides laundry, prep sink and auxiliary refrigerator, and a spacious open closet with bench seating. 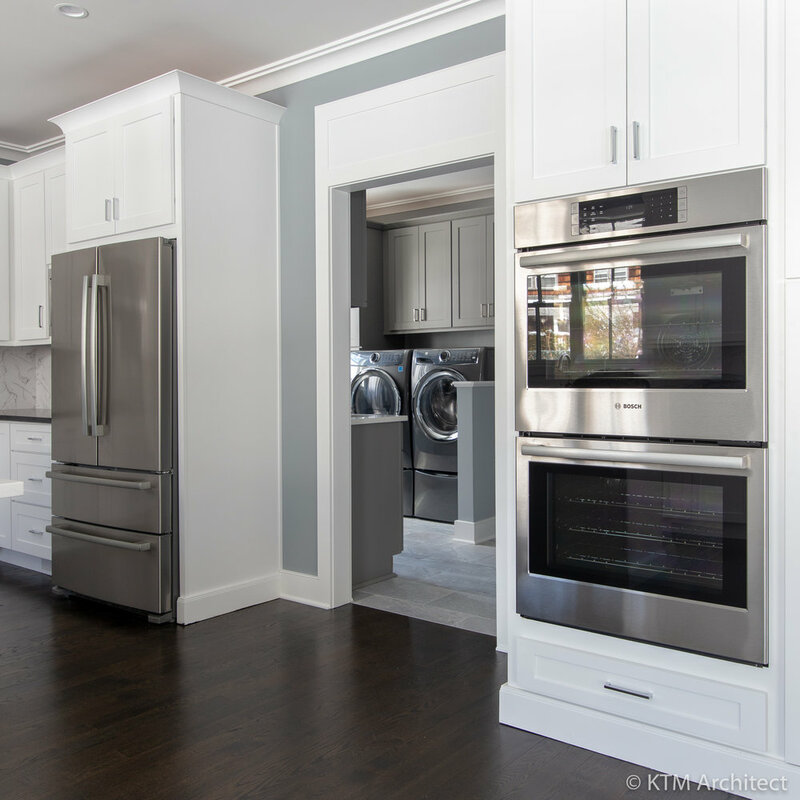 Shaker cabinets provide for ample storage, while the sink and counter space can accommodate dual uses. The garage entrance is to the right and kitchen to the left. The closet nook allows jackets, bags and shoes to be dropped off prior to entering the kitchen and yet they stay out of sight. A peekaboo view from the kitchen.